So I thought I would start with the most random picture, and the big announcement that you can look forward to 30 days in a row of posts here, so yea! Oh, and one Jack story. We have started the 6 month period of the year where he has a runny nose, and I had wrestled him onto my lap so I could wipe his nose and apply some lotion. He was kicking and writhing and yelling, “Down, Down!” and then he segued right from an angry, “DOWN!” into a laughing, “down down baby, Elmo do karate”, and it worked. I started laughing and let him down. This entry was posted in Uncategorized on November 1, 2009 by metamegan. >Good luck with the plan to blog everyday. Looking forward to it! >um – you kind of need to explain the creepy doll. >I d.clicked the doll picture to try and get a clue. 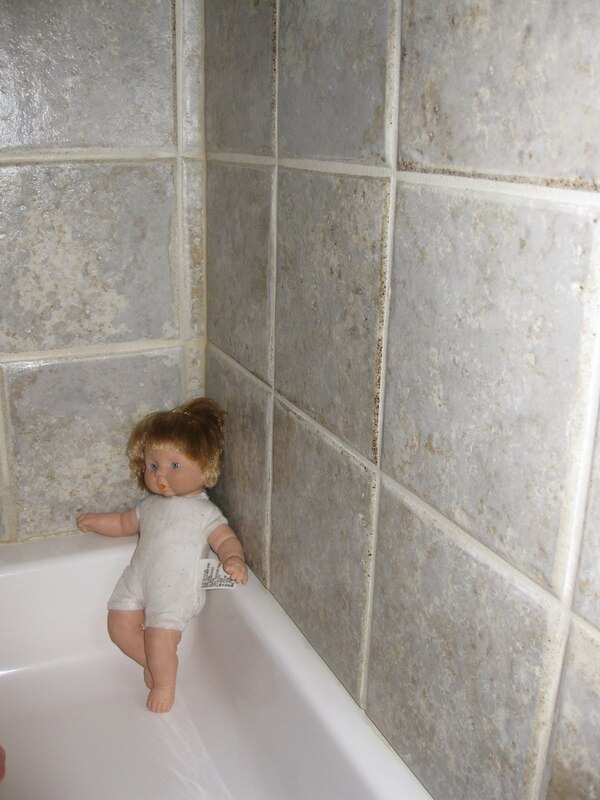 And I have to say, your grout looks fantastic! >Thanks Laura! I am also a little concerned about the doll.